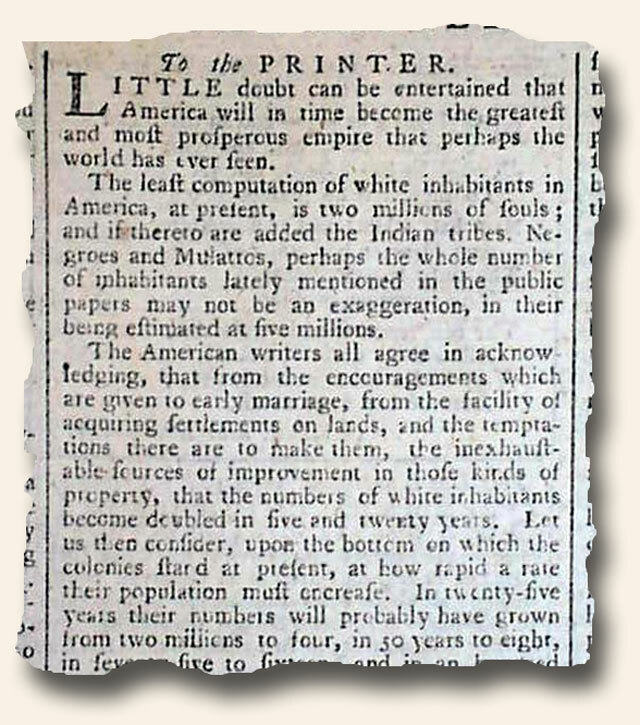 One of the joys of reading old newspapers is the opportunity to discover what were, in fact, very prophetic statements made long before anyone could have known they would become true. As they say, hindsight does provide 20-20 vision. 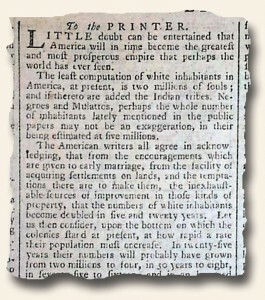 One of the best is found in “The London Chronicle” issue of Nov. 2, 1765. Some 150 years before the per-eminence of America as a world power both military and economically, a writer begins an article: “Little doubt can be entertained that America will in time become the greatest and most prosperous empire that perhaps the world has ever seen…”. How true that statement would become, but to predict that future nearly a dozen years before America would even declare independence from the mother country was truly a stretch. It’s a neat find in an otherwise inconspicuous newspaper.